Make Your Custom Plaque Your Marketing Plan. Custom plaques are great for business. They allow you and your business to portray your accomplishments. Plaques are a great way to show off the newspaper article you wrote, the magazine you or your business was featured in, or the award you or your business received. 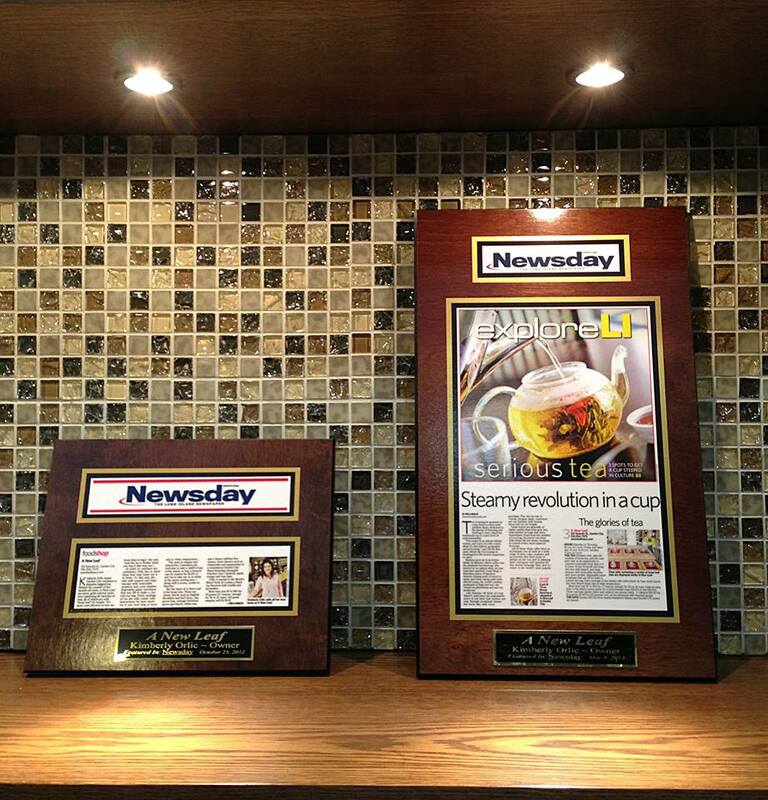 When you have an entire wall of plaques, your custom wall display can both attract and keep customers. But how can you turn your plaque or collection of plaques into a marketing plan? If they hang up on the wall, how can they reach. Marketing is a circle. There are two directions you can go in the circle, but the cycle will continue the circle. A circle exists between plaques and marketing. Your business gets featured in a magazine, and thus you get more customers. You get a plaque to preserve your feature, and new customers who did not get to read the feature then see it, and tell their friends about it. This is a second way to get customers. The two directions in the circle exists in your plaque and your marketing plan. Make your plaque work for your marketing plan, and make your marketing plan work for your plaques. 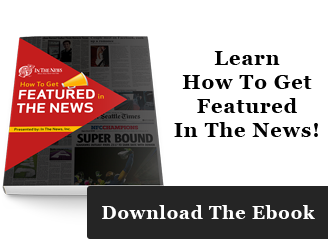 In this age of technology, successful marketing plans are created through the media. You have already been featured in magazines or newspapers. The next step is to preserve that feature in a plaque. 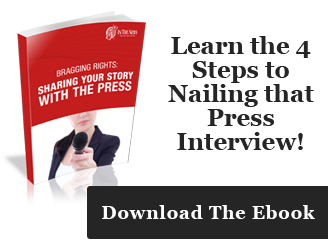 The next step is to continue to utilize the media. Newspapers and magazines are a great start to a successful marketing plan, but the plan continues into the media that is not so concrete. Create a company website if you do not already have one. Make a tab specifically designed to portray your plaques, awards, and achievements. Create a company blog and connect it to your company website. Blog about it; write about what the award was for, when it was received or written, and any other details you find interesting and inclusive. Utilize social media. Make your business a Facebook profile or a Twitter account if you have not already, and post pictures and blurbs about your plaque online. When customers see the successes of your company, they will want to come back. Our plaques are hand crafted by our experienced designers that use only the most modern equipment. Each base is three-quarter inches, and it is then hand-stained, beveled, and set with trim according to what you want. The article is laminated and sealed to the wood with heat. This will give the finish a semi-gloss look. Each plaque includes a personalized engraved plate that describes the details of your achievement. The base is available in wood stains of ebony, mahogany, walnut, whitewash, and natural. The trim is available in black, gold, silver, red, orange, yellow, green, blue, and purple. The engraving can include where it was published, the publishing date, and the article title. Other options include your name or the name of your business. We have many different layouts and designs, each created with their representation in mind. We also make acrylic signs to showcase your company logo or app icon. All we need is a completed form and a picture of the artwork. From there we will email back a preview with a link to your proof and price of your sign. 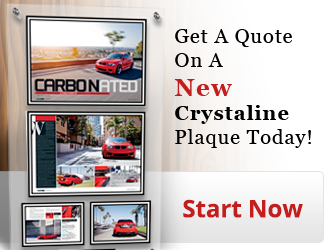 Start your plaque today! All you need to give us is some background information. We can even find your article if you do not have it, and we will contact you. To get you and your business started on that marketing plan, you will be in need of a plaque, and we can make one for you. You get to design it yourself and it can be hanging on your wall within three weeks. Plaques that show off your successes are an important asset to your marketing plan. Contact us today to inquire about or start your marketing plan!